Thanks for the input, I’ll name the Q bear Querida! Sadly, I’m still having trouble with my photos. I hope to work it out soon. I didn’t have much of a post in mind for today anyway, because I’m THIS CLOSE, I mean like ten minutes away from finishing a super secret project. It’s one of those projects that isn’t actually that much fun to work on, but the finished item itself is super awesome. Have you made projects like that? 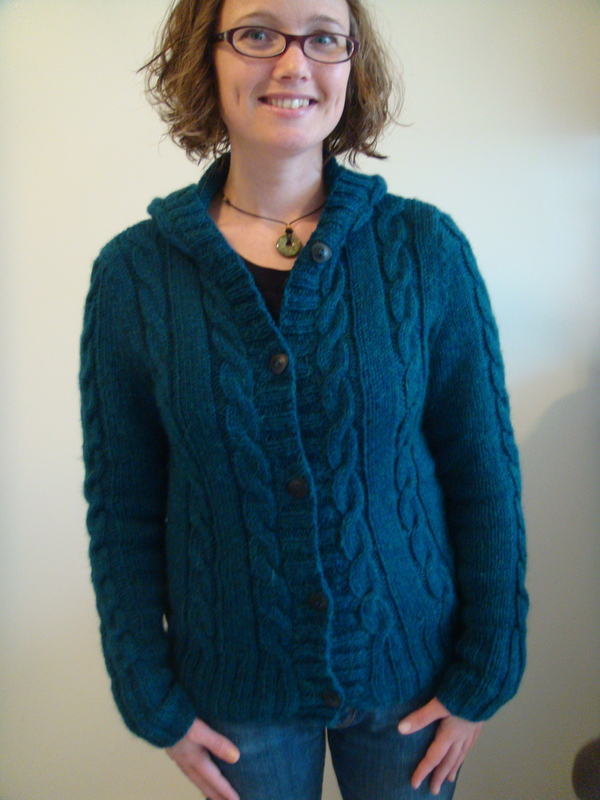 For lack of a very interesting post today, I’ll show you my favorite sweater that I’ve knitted for myself. 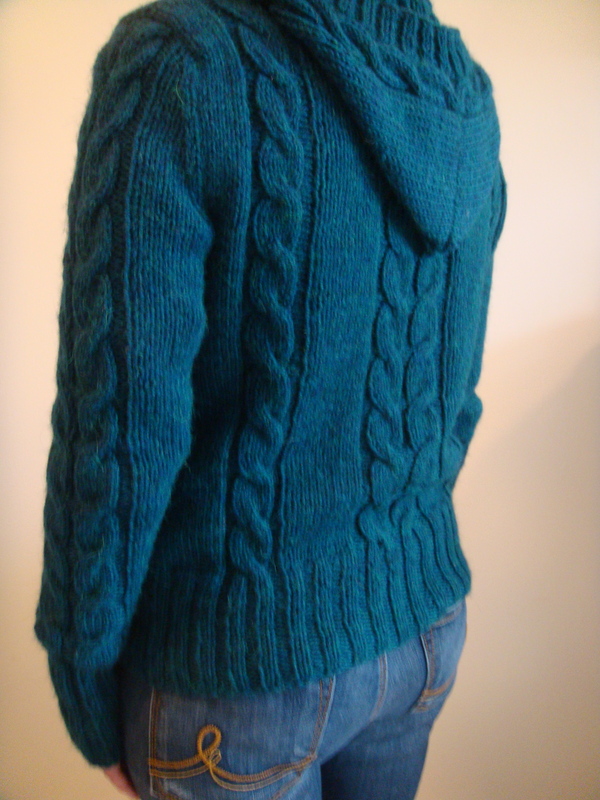 This is my Central Park Hoodie from Knitscene. I used Berroco Ultra Alpaca (worsted weight), which I would not use again for a cardigan that wants more structure than Alpaca can offer. It is just a tad too drapy and the hood really pulls the sweater back. Wait a minute, I thought I said this was my favorite? Yes, in spite of my complaints, I do love it and wear it a lot. This photo is from the first day I wore it out, which was about 4 years ago. Wow…. 4 years ago?? Time really does fly. And here’s a bonus photo of an alpaca, because I found it while looking for my Central Park Hoodie photos. 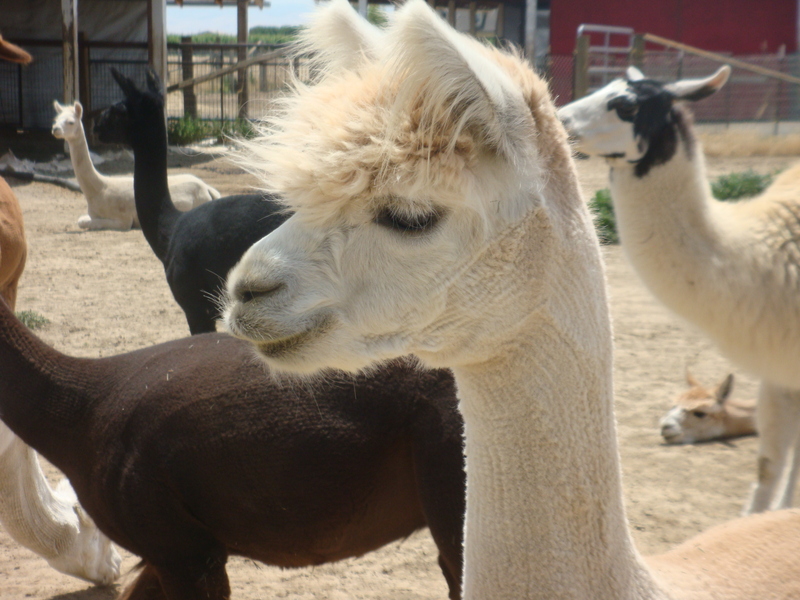 This was taken at Black Diamond Alpaca farm in Brentwood, CA. I like the lazy one lounging in the background. Your sweater is just my style and just my colour! Love it! Great cardigan. That shade of blue suits you really well! Nice! Alpacas are so cute.